Wear-and-tear is your car’s biggest enemy. It’s evident in the engine more so than in other areas, and when it needs fixing, come to Certified Automotive. Our ASE-certified mechanics will figure out your engine problem, and maintain it in good condition. 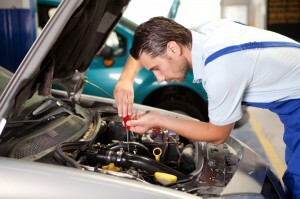 Taking care of your engine will prolong your car’s life. One way to do this is to heed the Check Engine light when it appears. The solution could be as simple as replacing a spark plug, but the important thing is to address the problem quickly. In doing so, you prevent costly repairs and avoid the inconvenience of not having your car. What Are the Typical Engine Problems? Excessive smoke is a common indicator of an engine problem, but the most common failure is in the oxygen sensor. It notifies your car’s on-board computer if there’s too much or insufficient fuel. Its failure could cost you almost 25% in mileage loss. It also helps if you look in the engine compartment from time to time. You’ll see if the engine is going through too much oil, or if the oil pressure is low; it will also ensure that the knocking is coming from the engine, not the suspension. We encourage you to limit your driving once the Check Engine light starts blinking. It indicates a more serious problem, and you need to find a fix for it soon. We recognize that it will inconvenience you, but your safety is important. At Certified Automotive, your safety and convenience come first. The sooner you address the engine problem, the sooner you’ll get to drive in peace. Rest assured that our mechanics know how to fix all kinds of engine problems. Don’t take your chances with an engine problem. Schedule an appointment with us today.